Léon: The Professional (French: Léon), known as Leon in the UK (and originally titled The Professional in the US and Australia), is a 1994 English-language French thriller film written and directed by Luc Besson. It stars Jean Reno and Gary Oldman, and features the motion picture debut of Natalie Portman. In the film, Léon (Reno), a professional hitman, reluctantly takes in 12-year-old Mathilda (Portman), after her family is murdered by corrupt Drug Enforcement Administration agent Norman Stansfield(Oldman). Léon and Mathilda form an unusual relationship, as she becomes his protégée and learns the hitman’s trade. Léon Montana (Jean Reno) is an Italian hitman (or “cleaner”, as he refers to himself) living a solitary life in New York City’s Little Italy. His work comes from a mafioso named Tony (Danny Aiello). Léon spends his idle time engaging in calisthenics, nurturing a houseplant, and watching old films. One day, Léon meets Mathilda Lando (Natalie Portman), a lonely 12-year-old girl. Mathilda lives with her dysfunctional family in an apartment down the hall, and has stopped attending class at her school for troubled girls. Mathilda’s abusive father (Michael Badalucco) attracts the ire of corrupt DEA agents, who have been paying him to stash cocaine in his apartment. After they discover he has been cutting the cocaine to keep for himself, DEA agents storm the building, led by sharply dressed drug addict Norman Stansfield (Gary Oldman). During the raid, Stansfield quickly becomes unhinged and murders Mathilda’s entire family while she is out shopping for groceries. When Mathilda returns, she realizes what has happened just in time to continue down the hall to Léon’s apartment, who hesitantly gives her shelter. When Léon heads out for an apparent assignment, Mathilda fills a bag with guns from Léon’s collection and sets out to kill Stansfield. She bluffs her way into the DEA office by posing as a delivery girl, only to be ambushed by Stansfield in a bathroom; one of his men arrives and announces that Léon had just killed one of the corrupt DEA agents in Chinatown that morning. Léon, after discovering her plan in a note left for him, rescues Mathilda, shooting two more of Stansfield’s men in the process. An enraged Stansfield confronts Tony, who is violently interrogated for Léon’s whereabouts. As Mathilda and Léon recover from the ordeal, Mathilda attempts to seduce Léon. Léon refuses, instead opening up about how he became a cleaner; when Léon was young in Italy, he was in love with a girl from a wealthy family. The two made plans to elope, but when the girl’s father discovered their relationship, he killed her out of anger and escaped justice. Léon killed the man out of revenge and fled to New York, where he met Tony and trained to become a cleaner. 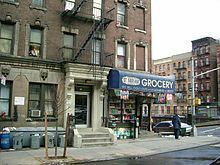 Later, while Mathilda returns home from grocery shopping, a NYPD ESU team sent by Stansfield captures her and attempts to infiltrate Léon’s apartment. Léon ambushes the ESU team and rescues Mathilda. Léon creates a quick escape for Mathilda by smashing a hole in an air shaft; he then reassures her, and tells her that he loves her, moments before the police blow up the apartment. In the chaos that follows, Léon sneaks out of the building disguised as a wounded ESU officer; he goes unnoticed save for Stansfield, who follows him and shoots him in the back. As he is dying, Léon places an object in Stansfield’s hands that he says is “from Mathilda” before succumbing to his wounds; Stansfield discovers that it is a grenade pin. He then opens Léon’s vest to find a cluster of active grenades which detonate, killing Stansfield. Mathilda goes to Tony, as Léon had told her to do in the event of his death. Tony tells Mathilda he had been instructed by Léon to give his money to her if anything happened to him; he offers to hold it and provide the money on an allowance basis. Mathilda returns to school and meets the headmistress, who readmits her after Mathilda reveals what had happened to her. She then walks onto a field near the school to plant Léon’s houseplant, as she had told Léon that he should “give it roots”. Léon: The Professional received favorable reviews from critics. The film holds a 71% positive aggregate rating based on 59 critical reviews on Rotten Tomatoes with an average rating of 6.7/10. The site’s consensus states, “Pivoting on the unusual relationship between seasoned hitman and his 12-year-old apprentice—a breakout turn by young Natalie Portman—Luc Besson’s Léon is a stylish and oddly affecting thriller”. At Metacritic, the film received an average score of 64 based on 12 reviews, indicating “Generally favorable reviews”. Mark Salisbury of Empire magazine awarded the film a full five stars. He said, “Oozing style, wit and confidence from every sprocket, and offering a dizzyingly, fresh perspective on the Big Apple that only Besson could bring, this is, in a word, wonderful”. Mark Deming at AllMovie awarded the film four stars out of five, describing it as “As visually stylish as it is graphically violent”, and featuring “a strong performance from Jean Reno, a striking debut by Natalie Portman, and a love-it-or-hate-it, over-the-top turn by Gary Oldman”. Richard Schickel of Time magazine lauded the film, writing, “this is a Cuisinart of a movie, mixing familiar yet disparate ingredients, making something odd, possibly distasteful, undeniably arresting out of them”. He praised Oldman’s performance as “divinely psychotic”. In the 2013 book, Poseur: A Memoir of Downtown New York City in the ’90s, Marc Spitz wrote that the film is “considered a cult classic“. In 2014, Time Out polled several film critics, directors, actors and stunt actors to list their top action films; Léon: The Professional was listed at No. 42. The character Norman Stansfield has since been named by several publications as one of cinema’s greatest villains. The British band Alt-J released a song about the film, titled “Matilda” [sic]. The first line in the lyrics, “this is from Matilda”, refer to Léon’s last words to Stansfield, shortly before the grenades detonate and kills them. 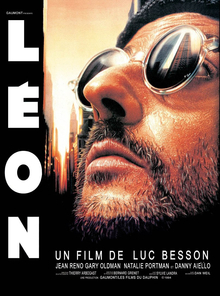 The Bollywood film Bichhoo was inspired by Léon: The Professional. South Korean comedian Park Myeong-su and singer-songwriter IU released and performed a song inspired by the film, “Leon”, for a bi-annual music festival of South Korea’s highly popular variety show, Infinite Challenge, in 2015. Besson wrote a script for a sequel, Mathilda, but filming was delayed until Portman was older. In the script, Mathilda was described as “older” and “more mature,” and was working as a cleaner. However, in the meantime, Besson left Gaumont Film Company to start his own movie studio, EuropaCorp. Unhappy at Besson’s departure, Gaumont Film Company “has held The Professional rights close to the vest — and will not budge”. There is also an extended version of the film, referred to as “international version,” “version longue,” or “version intégrale“. Containing 25 minutes of additional footage, it is sometimes called the “Director’s Cut” but Besson refers to the original version as the Director’s Cut and the new version as “The Long Version”. According to Besson, this is the version he wanted to release, but for the fact that the extra scenes tested poorly with Los Angeles preview audiences. The additional material is found in the film’s second act, and it depicts more of the interactions and relationship between Léon and Mathilda, as well as explicitly demonstrating how Mathilda accompanies Léon on several of his hits as “a full co-conspirator”, to further her training as a contracted killer. ^ Jump up to:a b “Box Office Information for Léon”. The Numbers. Retrieved 4 April 2010. Jump up^ JP. “Léon (The Professional) (1994)”. JPBox-Office. Retrieved 25 November 2016. Jump up^ Ebert, Roger. “The Professional Movie Review (1994)”. rogerebert.com. Retrieved 12 October 2016. Jump up^ Luc Besson. Léon: The Professional Uncut International Version DVD, inside sleeve. Jump up^ “Leon – The Professional filming locations”. The Worldwide Guide To Movie Locations. 18 June 2008. Jump up^ “GOLD ALBUM 他認定作品 1999年12月度” [Gold Albums, and other certified works. December 1999 Edition] (PDF). The Record(Bulletin) (in Japanese). Chūō, Tokyo: Recording Industry Association of Japan. 483: 8. 10 February 2000. Archived from the original (PDF) on 17 January 2014. Retrieved 17 January 2014. Jump up^ Mark Salisbury. Reviews: Leon Archived 16 November 2012 at the Wayback Machine.. Empire. Retrieved 22 December 2011. Jump up^ Mark Deming. “The Professional review”. AllMovie. Retrieved 9 June 2010. Jump up^ Richard Schickel (24 June 2001). “Slice and Dice”. Time. Jump up^ Marc Spitz (2013). Poseur: A Memoir of Downtown New York City in The ’90s. Da Capo Press. ISBN 0-3068-2174-5. The film, a campy, stylish, ultraviolent tale about a solitary hit man (Jean Reno) and the little girl he grows to love, is called The Professional in America, Léoneverywhere else. Natalie Portman was the girl, Matilda. It’s now considered a cult classic. Jump up^ “The 100 best action movies: 50–41”. Time Out. 3 November 2014. Retrieved 7 November 2014. Jump up^ “Five Things to Know About Alt-J”. MTV. 12 September 2012. Retrieved 28 February 2015. Jump up^ “‘Montana’ From British Director Mo Ali Officially Kicks Off Shooting In London”. Thehollywoodnews.com. Jump up^ “‘Infinity Challenge Music Festival’ features performances by Taeyang, G-Dragon, IU, Zion.T and more!”. allkpop.com. 22 August 2015. Retrieved 29 August 2015. Jump up^ Holtreman, Vic (19 August 2010). “Exclusive: Olivier Megaton Says Sequel to ‘The Professional’ Unlikely”. Screen Rant. Jump up^ Gilchrist, Todd (25 August 2011). “Olivier Megaton Admits ‘Colombiana’ Inspired By Luc Besson’s Unmade ‘The Professional’ Sequel Script”. IndieWire. Jump up^ “Besson on: His promise to make only 10 films, Working with Natalie Portman, Jacques Mayol, directing”. Guardian/BFI interviews. London. 23 March 2000. Jump up^ Lisa Nesselson (29 July 1996). “Leon: Version Integrale – The Professional (Director’s Cut)”. Variety.